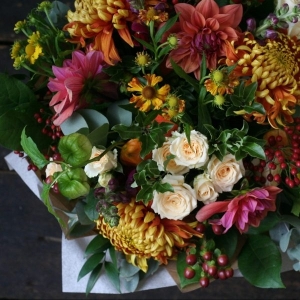 Bramble & Wild specialises in natural and rustic bouquets, using perfect country style blooms of the highest quality. Each of our hand tied bouquets arrives exquisitely wrapped in brown paper, raffia & our signature presentation box. 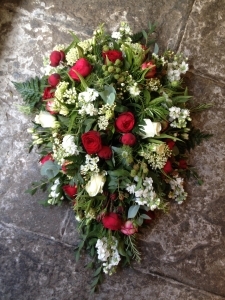 Not only do we create special gifts for any occasion, we also design for funerals, weddings, parties & events. 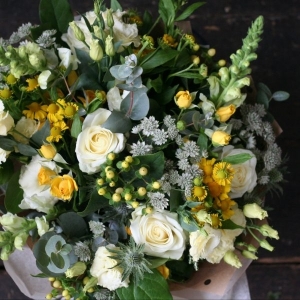 Perched at the top of picturesque Catherine Hill in Frome, Somerset, we are just a short walk from the town centre & deliver our flowers locally too. Based in Frome, Somerset, the shop is run daily by a creative team, who all adore everything vintage, wild & rustic. This passion shines through in to every bouquet made by Grace or Sophie who work in the shop full time. Kirsty & Emma can be found at the weekends, adding special touched to our wide range of plants & gifts with their keen eye for detail. 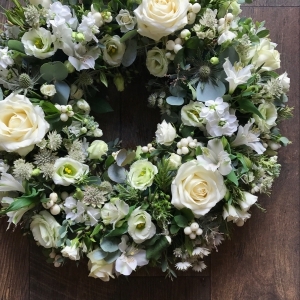 Whether you are looking for the perfect wedding flowers, a sympathy arrangement that is just right, or a way to make someone’s day special – our approach is simple: to bring the beauty of the outside world, inside. Because to us, nature is already perfect. Through our floral creations and garden-themed gifts, our love of the English countryside shines through. Our flowers are seasonal, whimsical, and locally sourced when possible. With this admiration for nature in mind, we use natural, recycled, reusable and compostable materials wherever we can. In the shop, everything we stock has been carefully chosen and curated by us – from Kew Garden’s hand-thrown pots and the Cowshed botanical skincare range – right down to the individual flowers on offer each day and the rustic raffia we use. 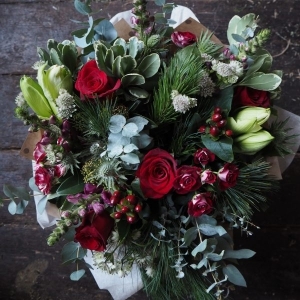 “Bramble & Wild Floral Emporium is an award-winning florist based in Frome, Somerset. From our little blue shop on Catherine Hill, we can deliver for any occasion to anywhere in the whole of the UK. If you happen to be in Frome, Somerset – we hope you’ll stop by and say hello. I am sooo impressed with the service from Grace. Thank you for being so easy to contact and communicate with and thank you for following instructions perfectly. The flowers are beautiful you couldn't have done any better! I'm glad I trusted you with my purchase because what you came up with was gorgeous. 10/10!!! Delivered super quickly. Our family sent a photo of the flowers and they looked even better than the picture on the site. Perfect. They were just what I requested and exceeded expectation, and so fitting for the person and the occasion. There were many compliments. Amazing service yet again, utterly beautiful arrangements that fit perfectly with the rest of the parties decor - always friendly service from the lovely girls in the store - can't sing their praises enough ?????? Simply the best florist I have used, can't recommend them highly enough. Their artistry is superb with a customer service to match. Really efficient and friendly service. Ordered flowers at 12.30 and delivered the same afternoon.Thank you! Two years on and Grace still remembered the flowers we had for our wedding. The hand tied bouquet I got my wife for our 2nd anniversary was stunning. Beautiful selection and timely delivery. Thank you, I will be using again! Such a pleasure to send flowers with B&W - awesome service, so efficient and beautiful flowers. Will be back. Thank you so much. 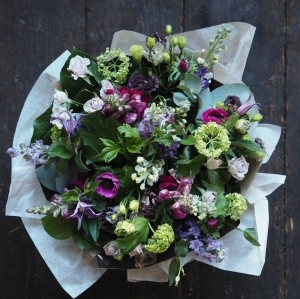 I have ordered flowers through Bramble and Wild, twice in the last 3 weeks. The first time to be delivered in Bruxelles and the second time to be collected for personal delivery. 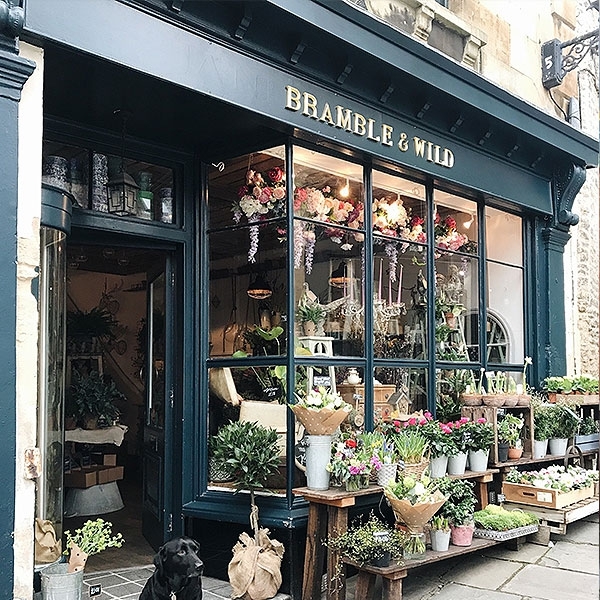 The quality of service at Bramble and Wild is excellent, exceptionally efficient and very friendly. 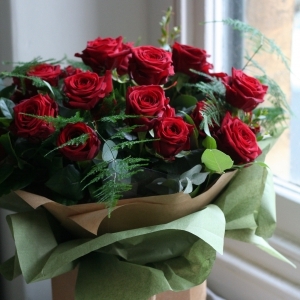 The flowers supplied are beautiful, superb quality, long-lasting and brilliant value for money. I wholeheartedly recommend this knowledgable, independent florist. She was ecstatic! As they went to a different country, I didn't get to enjoy them. But my fiancée has!! Our bestseller. 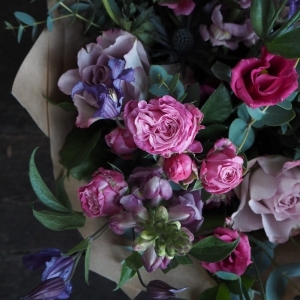 The very best blooms from the flower market & british flowers where possible. A florists choice posy in a vase. 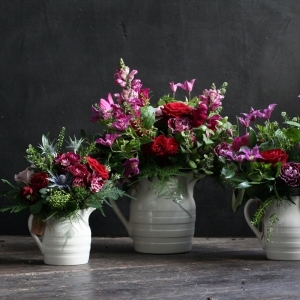 A beautiful white Burleigh Jug, filled with seasonal blooms. 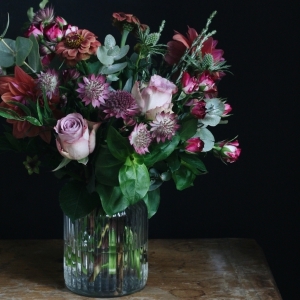 The artisan bouquet is a seasonal mix of pretty pink blooms. 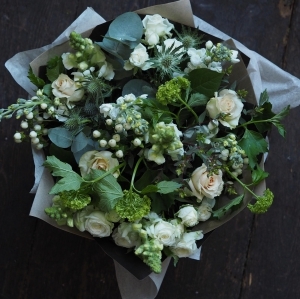 Our classic hand-tied bouquet in white & green tones. 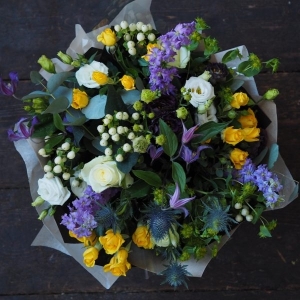 The Ralph hand tied bouquet is a beautifully cheerful bouquet, created with white, yellow & purple blooms, the best the season has to offer. Perfect for brightening up anyones day! All the delights of spring. 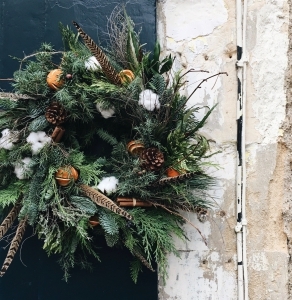 Luxurious moss based wreaths, designed with thick & full winter foliage & seasonal decorations. 12, 24 or 50 Red Naomi roses with foliages in an aquapacked design. 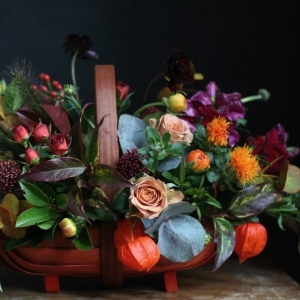 A cute wooden trug filled with the best blooms the season has to offer. A loose & natural single ended spray in oasis. 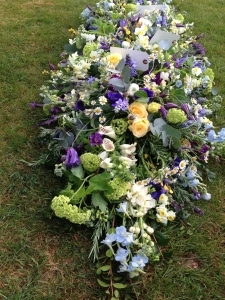 A long, loose 'diamond' shaped design of seasonal blooms for a main casket tribute. A fully flowered wreath of seasonal blooms & foliages.